While I know this isn't what it says on the outside, I saw this truck on the way to work this morning. It made me laugh. Well no wonder they can sell Polar Pop for 69 cents when they get it delivered like this. 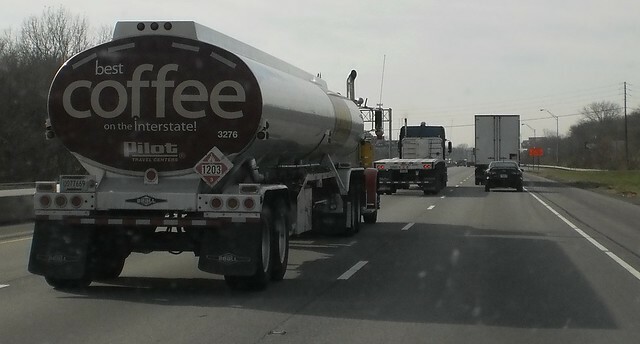 It reminded me of a truck I followed on the way home from Carole and David's back in November.